"Only a few are willing to risk arrest for the sake of an utopian outcome. Ted 'The Unabomber' Kaczynski obviously occupies the upper right corner. 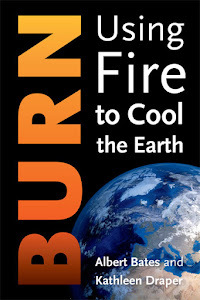 Starhawk, Bill McKibben and David Graeber are not lighting any fuses but at least have what they think are better plans, or maybe just better processes." Our post of January 14 stirred the hornet’s nest and so we have found it necessary to revisit those star charts and try to probe their signs and portents with renewed care. First, we have to acknowledge that our scatter chart has no basis in actual data. It is merely a mind map, and as such it has its uses and its limitations. The map is not the territory, as we know, so what is it? Mostly, it is a way to visualize complex relationships and hopefully gain insight that doesn’t just pop out from a photograph, the written word or columns of numbers. 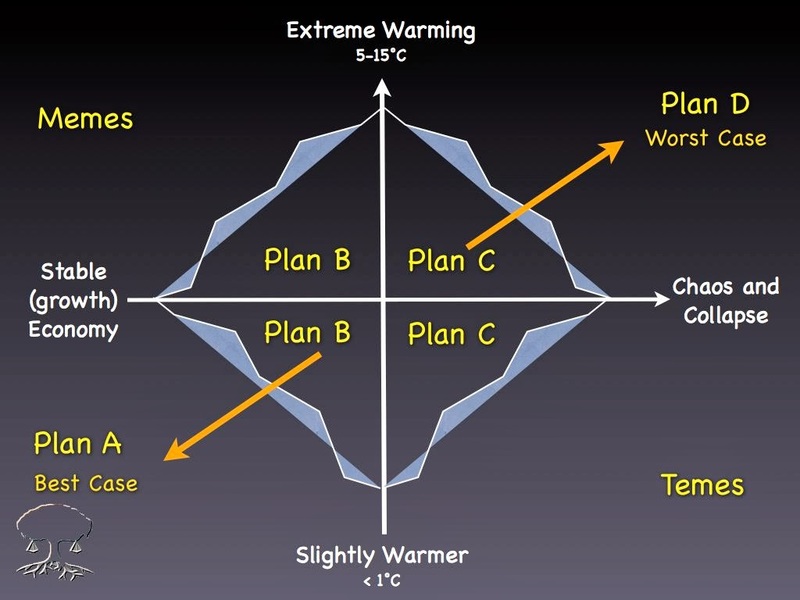 In this case, we were attempting to depict where David Holmgren’s shift in strategy took him within the matrix of climate/peak oil prognosticators. We were using charts to illustrate that he had shifted from advocating passive transformation to urging proactive crash. The feedback we received was, on the whole, good natured and valuable. 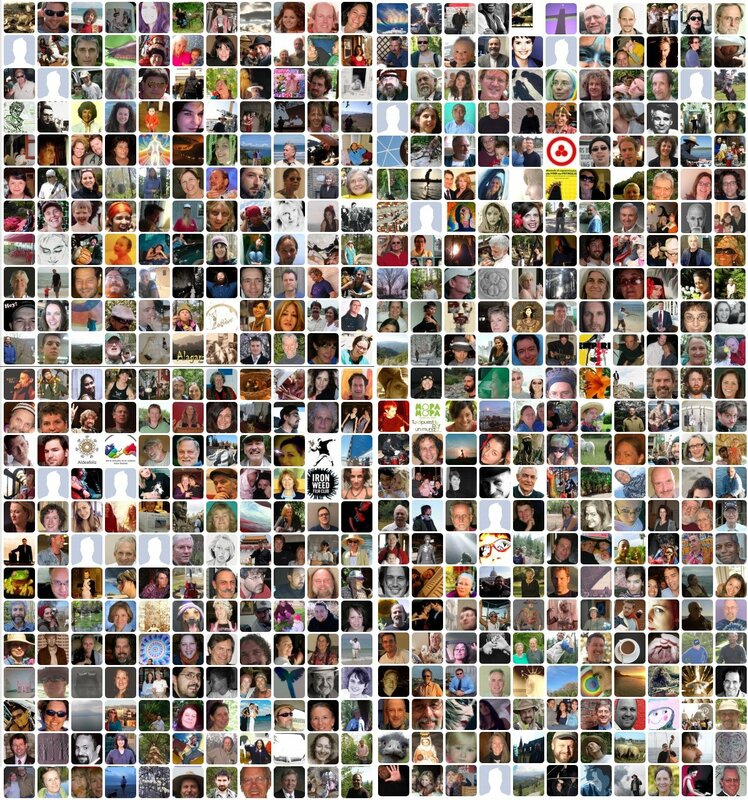 Naturally there were many names that readers felt had been left out of the matrix — Dave Cohen, Dave Pollard, David Graeber, Ugo Bardi, Charles Eisenstein, Buckminster Fuller, Larry Korn, Caroline Baker, Sister Sage and Kathy MacMahon, to name a few absent without our readership’s leave. Michael Ruppert said about this chart: "I am not a product of, or measurable by, Cartesian 3D tools." Carolyn Baker said, "I'm not even ON the chart, thank God. I stand with Mike. Who needs more quantifying, categorizing, labeling, separating, binary, limiting, left-brain, Cartesian tools? This is precisely why we are living the current nightmare. This chart is only more of industrial civilization's three-dimensional drivel. I'm not on the chart because everything I stand for cannot be charted. In this instance, I love being marginalized!" If, like Holmgren says, 10% of the population boycotted global finance, and global finance crashed, Brown Tech would probably just shut down, because its activities are very capital-intensive. Now, since our voices—Holmgren's and mine and those of other people who may be consonant with Holmgren's message—are mainly projected through blogs, I can do some math and figure out how many me-equivalents it would take to bring about the required change in global sentiment. This particular blog gets around 14k unique visitors a month. Let's assume a sky-high conversion rate of 50%, where half of my readers pledge to support Homgren's boycott. That's 7k people. Global population is 7 billion, 10% of that is 700 million. Dividing one into the other, we get our result: it would take on the order of 100,000 me-equivalent activists/bloggers to bring about the required change of consciousness. Next question: how many me-equivalent (give or take) bloggers are there out there? [O]f the 22 activists/bloggers on Albert's chart, how many might go along with the plan? We already know that Rob Hopkins wants us to count him out. He wrote that Holmgren's Crash on Demand “isn't written for potential allies in local government, trades unions, for the potential broad coalitions of local organisations that Transition groups try to build, for the diversity of political viewpoints...” Yes, I can see why local govenments might take a dim view of a plan to zero out their budgets, and why the trade unions might not be enthused by a plan that would put their entire rank and file on the unemployment line. I guess Hopkins' “potential broad coalitions” will just have to wait for collapse rather than try to bring it about. Potentially, that is. Not that any of that matters, of course, because, even if we assume that everyone will go along with Homgren's plan, dividing one into the other we still get a 99.98% shortfall in the required number of activists/bloggers. La-de-da. But don't let that stop you from trying because, regardless of results (if any) it's a good thing to be trying to do. KMO, in his post entitled ‘Dirty Pool,’ dissected the controversy by looking closely at the differences between the positions of David Holmgren and Nicole Foss. “Notice that David and Nicole are advocating the same course of action,” he wrote. This really demonstated for us how delicate and nuanced the distinctions between the collapsenik community were. Moreover, to really represent the available rationales would require a more sophisticated mind map, such as used by Dave Pollard in his review of David Graeber’s book, The Democracy Project. Taking another crack at our chart, we decided to try relabeling the axes and shifting some of the positions. One problem we have is that the lower left is overcrowded while the upper right (civil resistance ecotopians) has only a few willing to risk arrest for the sake of an utopian outcome. Ted “The Unabomber” Kaczynski obviously occupies the upper right corner. Starhawk, Bill McKibben and David Graeber are not lighting any fuses but at least have what they think are better plans, or maybe better processes. Joel Salatin makes it to that quadrant because he is ready to defy the FDA/USDA Gestapo on issues like raw milk and mobile beef harvesters. Ray Kurzweil anchors the top left because he sees no need to confront authority — it will be carried away in the tsunami of change over which it has almost zero control. Elon Musk has similar confidence albeit less utopian cultural zeal. More moderate transformers, Michael Shuman, for instance, with his Small-Mart concepts, or Woody Tasch, replacing monolithic banks with local lending circles, and Ellen Brown, making the case for state-owned currencies (and running for Treasurer of California now) are trying to reform, not subvert, which places them to West of illegal and North of collapse. 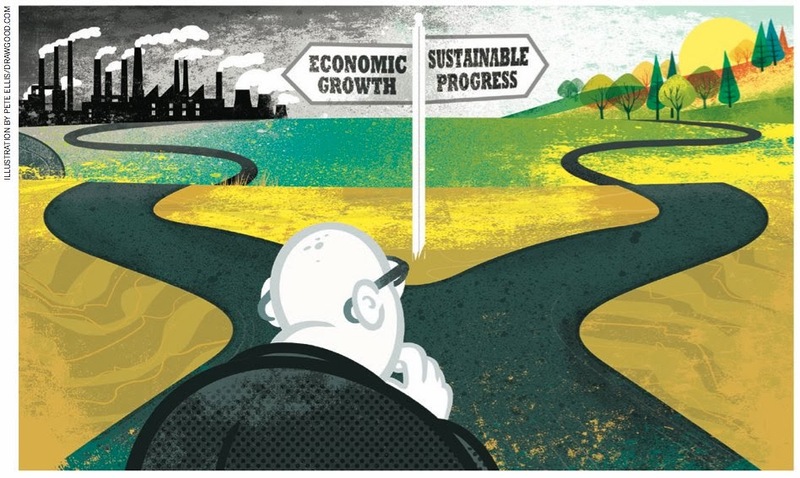 Another useful addition is Robert Constanza, who can stand in for a long list of new economists that see a potentially very rapid adoption path for a successor metric to GDP — giving the G8 and the Davos Forum a new set of tools that integrate current knowledge of how ecology, economics, psychology and sociology collectively contribute to establishing and measuring sustainable well-being. We blogged about this in 2010, when we met Bhutan’s Minister of Happiness at the Cancun Climate Summit, and again from Rio de Janeiro in 2012. Reframing "violence" (that no one seeks) to "resistance" and making the middle line a division between active and passive (or legal and illegal) seems likely to satisfy many of the chart’s critics. 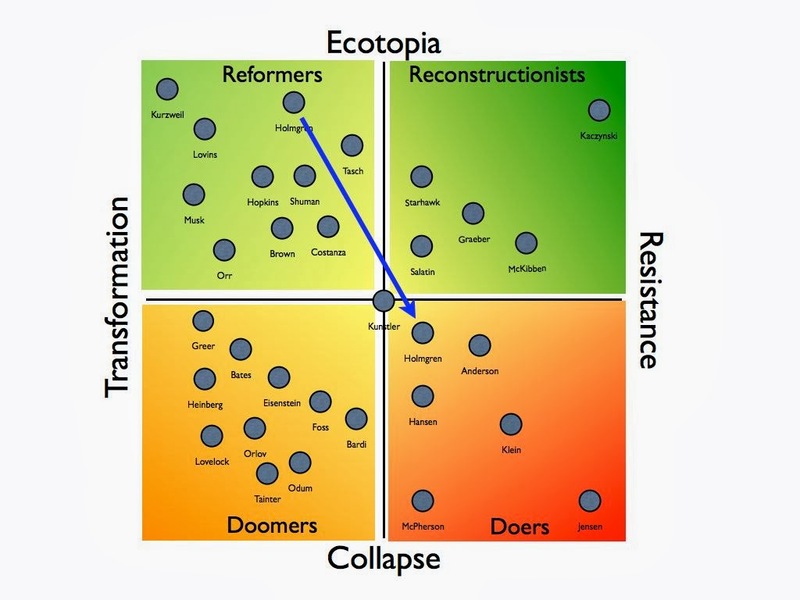 Some insights that the new chart may evoke: some reconstructionists of the top right regard collapseniks on the lower left as lazy while the doomers at bottom right likely consider the activities of the reformers on the upper left to be futile gestures. Steven Morris suggested a dynamically updated map. The internet could be scanned for all the articles and conversations by our selected group of authors. Then using AI, their position on the map could be adjusted as what they write changes. Kind of like a tag cloud, only more elaborate. 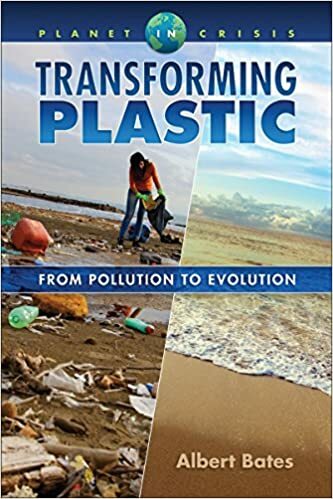 Harold P Boushell said if you are going that far, how about allowing nth-points on a circle such as: Peaceful Transformation, Collapse, Singularity, Civil War 2, Space-Asteroids, Nuclear War, Electric-Grid-Failure, Methane-Eco-Collapse, and the Jetsons. 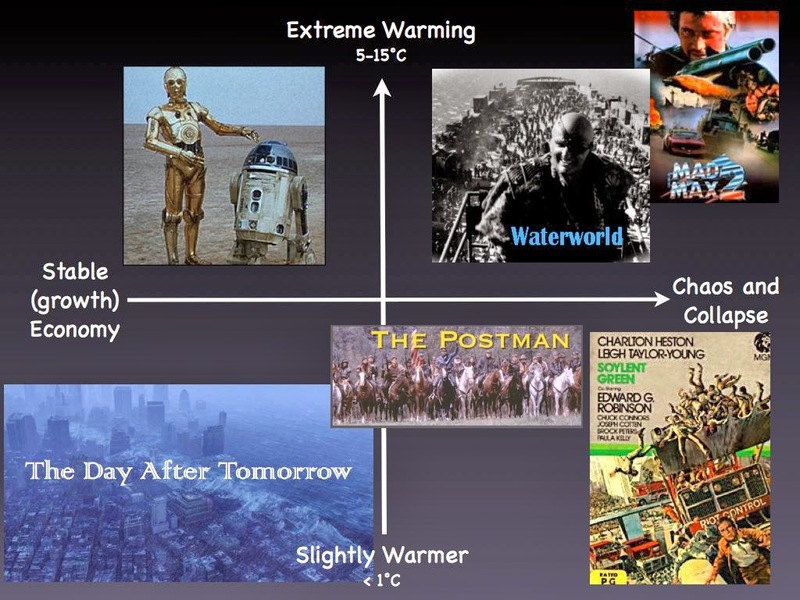 This reminded us that we already did this in 2005, using familiar science fiction films. Into this grid we dropped the Jetsons and the Flintstones. Then we suggested a few more apocalyptic films and urged the audience to think of their own favorites and where they might fit. Finally, we brought that home into the realm of practical planning — what do you do to prepare, given how much or little weight you place on various scenarios? Preparations, we pointed out, generally involve building local community, because the idea of going it alone is strictly the stuff of old time Westerns, and bears no connection to the real world. If you want to get a local community to come together, a great way to begin is over a nice homecooked meal. 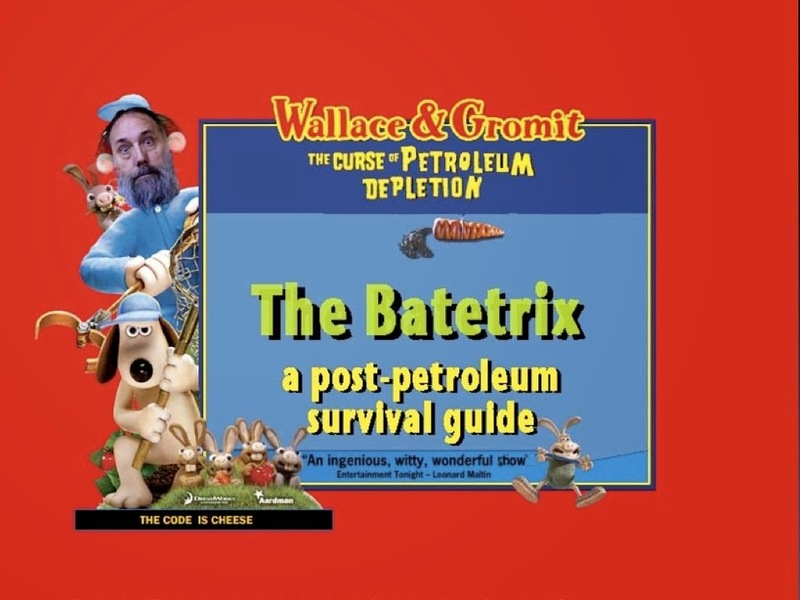 That is why our Post Petroleum Survival Guide was also a cookbook. Sigh. That trifecta was how we began this blog, and yes, we agree, we have somehow strayed. But its never too late! Herewith our winter recipe, borrowed from the pages of this morning’s The New York Times. If you go to the Times and read the original piece by Melissa Clark, and watch the demo video of how she makes these cookies, please note the bubbly sound track as the cookie dough goes into the oven (at minute 2.15). Baby Boomers may be carried back to the soundtrack from My Little Margie or Father Knows Best. This, friends, is really New York City in the winter! 1. Heat oven to 350 degrees. Spread coconut flakes on a rimmed baking sheet. Toast, stirring occasionally, until lightly colored and fragrant, 7 to 10 minutes. Cool. Raise oven temperature to 375 degrees. 2. In the bowl of a mixer fitted with the paddle attachment, cream the butter until light. Beat in brown sugar and honey, then beat until very fluffy, about 5 minutes. Beat in eggs, one at a time. Beat in vanilla. 3. In another large bowl, whisk together flour, salt, baking powder and 1 teaspoon (2 grams) cinnamon. With the mixer set on low, beat flour mixture into butter mixture until combined. Beat in oats, dates and toasted coconut. 4. Line three baking sheets with parchment paper. In a small bowl, stir together granulated sugar and remaining 3 teaspoons (6 grams) cinnamon. Roll heaping tablespoonsful of dough into balls, then roll balls in cinnamon sugar; transfer to baking sheet, leaving about 1 1/2 inches of space between dough balls. Bake until cookies are golden brown, about 15 minutes. Let cool in the pan for 2 minutes, then transfer to a wire rack to cool completely. 5. Make the filling: Using the electric mixer fitted with the paddle attachment, beat cream cheese until smooth. Beat in mascarpone, confectioner’s sugar and vanilla. Scrape down sides of bowl. 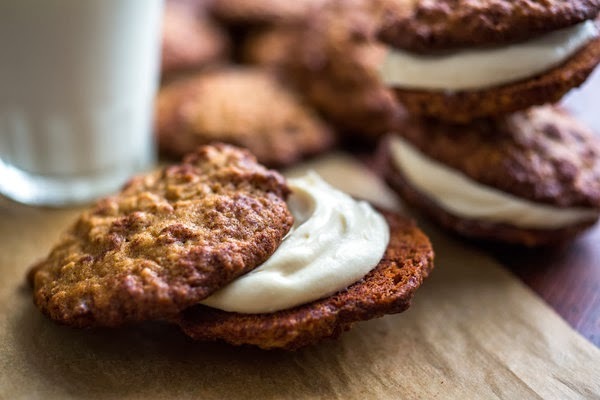 Sandwich about 1 tablespoon of filling between two cookies; repeat with the remaining filling and cookies. The re-labelling of the axes works, but I'm not sure about the naming of the quadrants - optimism and pessimism seem easier to chart than the new distinction between 'doomers' and 'doers'. These don't seem to be in the same category, and someone could surely be both - as KMO pointed out previously, Nicole Foss and Holmgren advocate the same course of action (doing) and both have severe prognostications for the future (doomy) even if their particular takes are different. 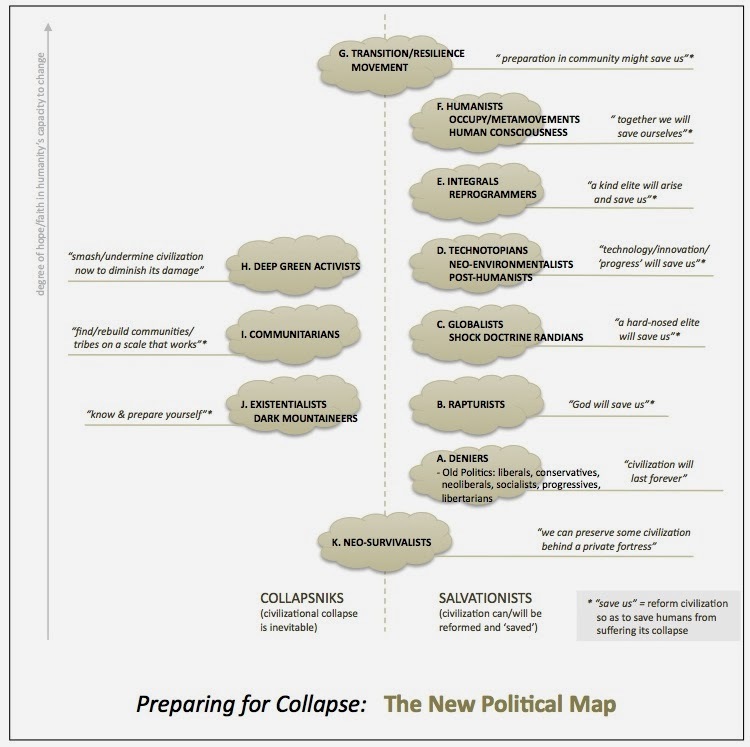 In fact, surely everybody in the 'Collapse' quadrants is doomy? Is the word Doomer supposed to stand in for passive (i.e. not a Doer)? In which case it still seems to be the wrong description for most of those placed in that quadrant. In the world that most of us readers occupy ( I think), we at any one time identify and agree with at least someone occupying one of the quadrants. I think a game of ideological hopscotch applies to this. I'd like to raise my hand in favor of this kind of charting, and applaud the process of refinement. I find it enormously helpful to see, at a glance, who is where on any number of spectra. One who objects on grounds that 'classification is demeaning' or 'confining' must find a library a frustrating experience! Thanks for your stimulating work! "Carolyn Baker said, "I'm not even ON the chart, thank God. I stand with Mike. Who needs more quantifying, categorizing, labeling, separating, binary, limiting, left-brain, Cartesian tools? This is precisely why we are living the current nightmare. 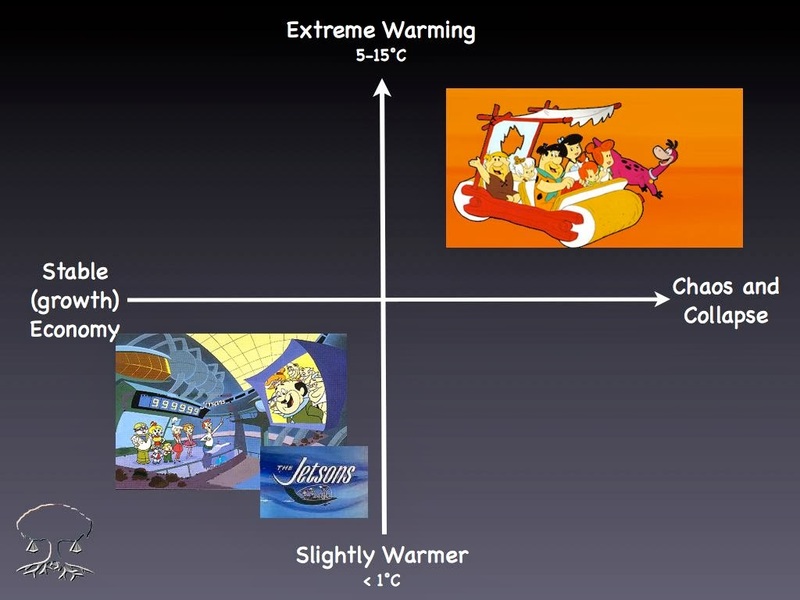 This chart is only more of industrial civilization's three-dimensional drivel. I'm not on the chart because everything I stand for cannot be charted. In this instance, I love being marginalized!"" This from the woman who says dealing with collapse is learning to let go of our egos. Anybody else feel the waves of irony wash over you when you read that? The difference between doomers and doers can be hard to chart. All of the writers (and those of us who aren't so well known but participate in these battles)who fall into your lower left quadrant are all "doing something" that might fall into the general realm of what D. Holmgren is now proposing. Simply by growing food, making our own energy, and trying to cut our dependency on money, a person begins to unplug from the matrix. For me, someone still clinging to the shreds of the ethos of the American middle-class, it isn't a fast process. And I don't want it to be a fast process, because if it were, that would surely be due to rapidly declining personal circumstances. 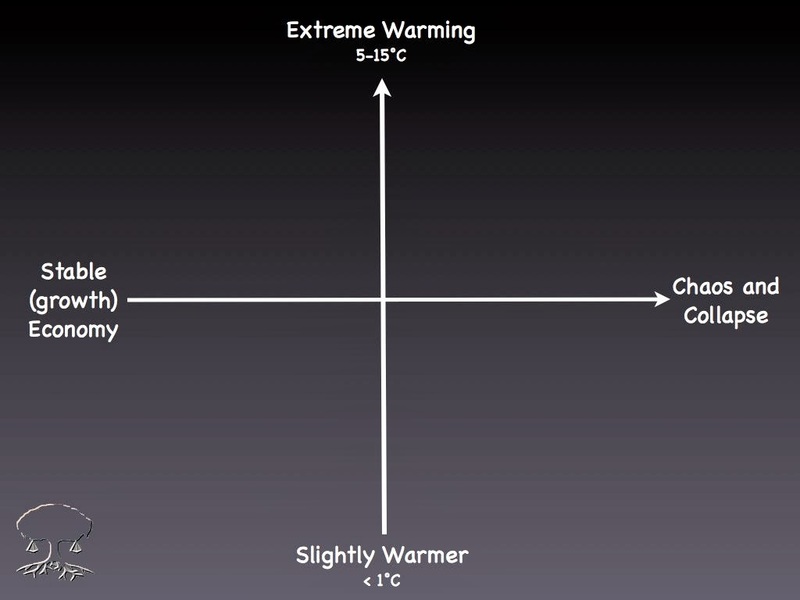 I find it rather strange to find McPherson in the "Doer" quadrant, given the fact that he's been very clear in presenting his view that humans will be extinct by some point in the 21st century, regardless as to what we do about carbon emissions, etc. If this does not make him a "doomer," I don't know what would. Frank Rotering deserves to be more widely known. 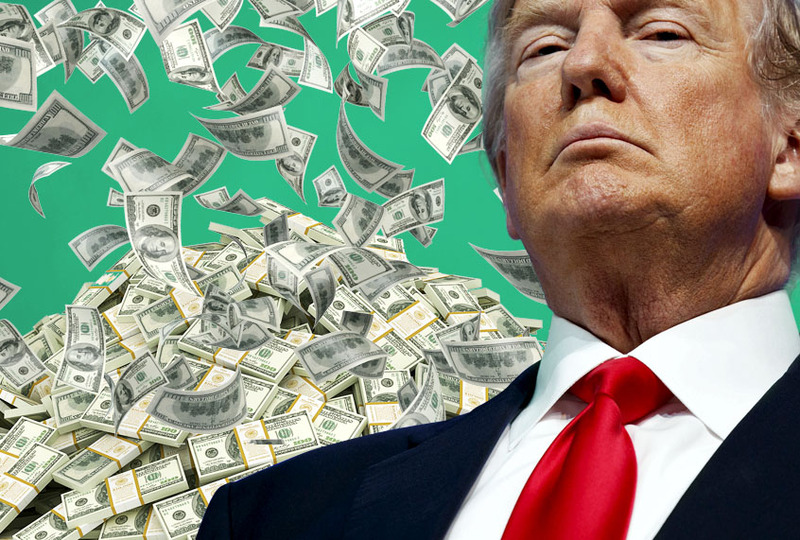 His two books The Economics of Needs and Limits and Contractionary Revolution delineate a coherent new economic framework for sustainable well-being, and the radical strategy needed to implement it. Check out his website at contractionism.org or click the book titles to download the free pdfs. Dates, cinnamon, vanilla, mascarpone, sugar, baking powder and even (for most people) flour, are not "local ingredients".